As everyone knows, we are getting accustomed to camera with complex features and functions, however, for how long it has been forgotten that the simple fact of taking photos is just for record and having fun, in order to bring back the primary and pure happiness of taking photos we've eventually created CROZ. The idea of the CROZ is to combine remarkable photographing experience, the beauty and texture of the material and to showcase all these as an elegant design. Instead of following buzzing functions, CROZ's simple operation allows users to simply focus on being creative and capturing the views. No screen is added on in which users will directly witness the scenes through the viewfinder holed on the camera and capture the touching moments instantly. One exclusive and non-replaceable feature about CROZ camera is the exchangeable cases and the whole assembly can be completed with just 4 simple steps. 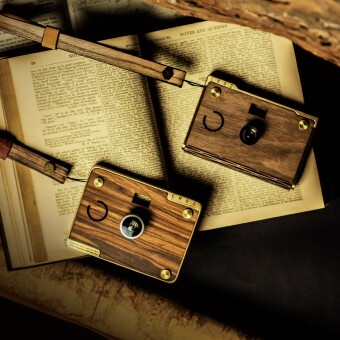 Taking photos and understanding your camera take time, as days by used the warm touch on the wood surface and brass will become memory between you and the product, develop a friendship between users and CROZ. Since founded in 2014 the team in Hyle Design has been devoting to explore delicate relationship between materials so that users can experience the real craftsmanship through real touch. Image sensors, camera lenses of CROZ are sourced from high-quality manufacturing suppliers in order to product excellent images. All the operational functions can be proceeded with just two buttons : to turn on; turn off and shoot in a 3-in-1 shutter clicker and a switch button to choose different photo effects. 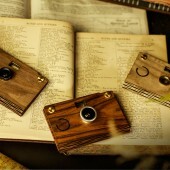 Besides equipped with high quality operation board, the outer shell of CROZ is a combination of wood and brass. One of the motifs of Hyle Design is to insist on using materials that are natural and being environmental friendly, including different wasted woods. 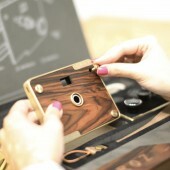 According to characteristics of wood and brass the case surface will be reflected with touchable print and change in color after certain time of use, we’d hope to show the hidden interaction between users and objects through thoughtful understanding on characteristics and clever selection of materials. Romantic things of CROZ are you’d never know whether it’s off colors, wrong focus or with vignetting effect, but all these makes one of a kind photos. You don’t have to know beforehand what you captured on film, afterwards either ; and this is what makes it so fun, the unpredictability makes the camera has a life of its own. Since founded in 2014 the team in Hyle Design has been devoting to explore delicate relationship between materials so that users can experience the real craftsmanship through real touch. 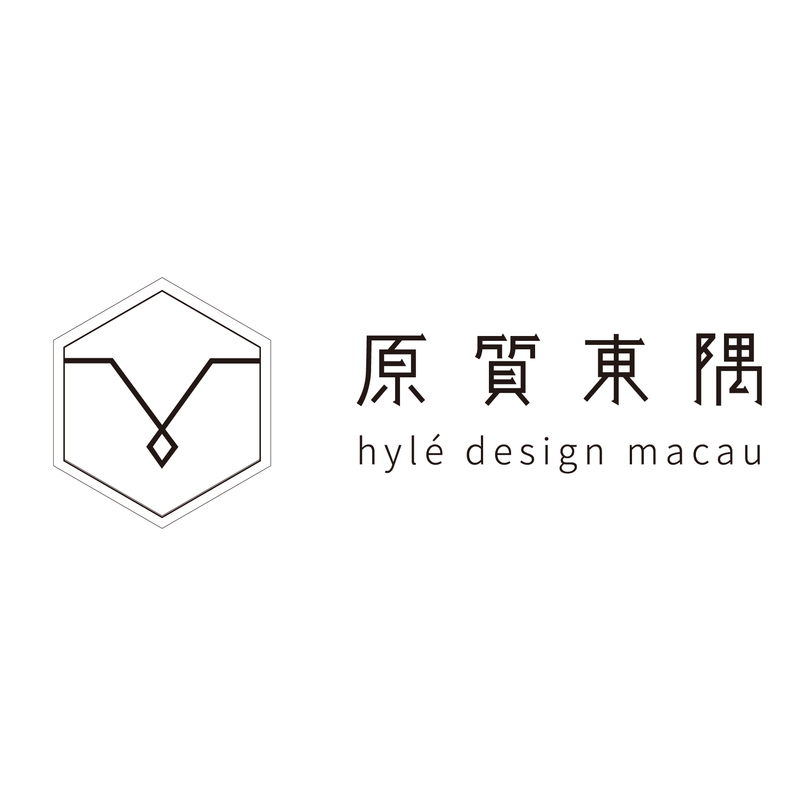 Hylé Design Macau is a brand inspired by cultural life in pursuit of pure essence of things. We’re eager to discover the aesthetics and every little details around us. By sharing this particular warm-hearted feeling we expect to bring the customers a different experience of quality life. We always believe everything is good for something and each thing has the specific value of its existence, even it’s disuse. By adhering this business philosophy we prioritize environmental protection in products manufacturing. We manage to eliminate wood residues by turning them into new resources. Large scale of wood waste will be generated in furniture manufacturing sites, considering this we design our products including wooden rulers, ornaments and other kinds of daily necessities through recycling wasted wood. Croz D.i.y Digital Camera D.i.y Digital Camera by Calvin Sio is a Nominee in Digital and Electronic Devices Design Category. 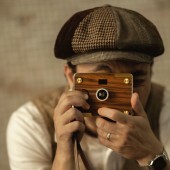 · The profile and other works by Calvin Sio is also kept secret. This information will also be available later. Croz D.i.y Digital Camera D.i.y Digital Camera by Calvin Sio is Winner in Digital and Electronic Devices Design Category, 2017 - 2018. 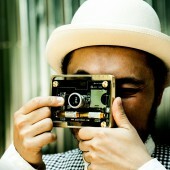 · Press Members: Login or Register to request an exclusive interview with Calvin Sio. · Click here to view the profile and other works by Calvin Sio. Did you like Calvin Sio's Consumer Electronics Design? Did you like Croz D.i.y Digital Camera D.i.y Digital Camera? Help us create a global awareness for good consumer electronics design worldwide. Show your support for Calvin Sio, the creator of great consumer electronics design by gifting them a nomination ticket so that we could promote more of their great consumer electronics designs.